For the past four years, our favorite canine has been noticeably absent from Target’s television commercials. What can we say? Bullseye stays busy—walking red carpets, hanging with the Target racing team and attending special events across the country. Sure, you may have seen the bull white terrier in print advertisements or on signs throughout Target stores, but not on the small screen. But this holiday season, Bullseye is back in a big way, in Target's new, larger-than-life holiday commercial. 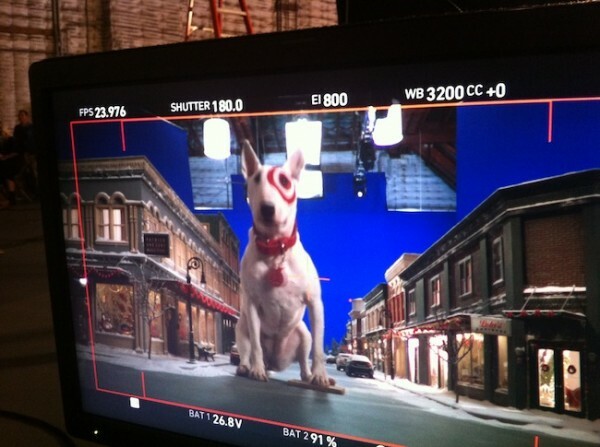 In the ad, Bullseye trots though a quaint, small town to deliver some exciting holiday news. So how small really is that town? Very small, say Travis Robertson and Fiona Mitchell from Target’s Creative Group that served as Co-Creative Directors on the ad. 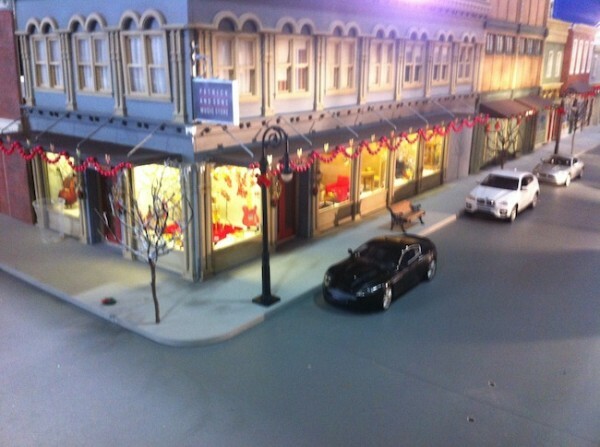 The entire town was painstakingly painted, crafted and designed to the tiniest detail—from the lampposts and the cars on the street to the twinkling lights on trees. 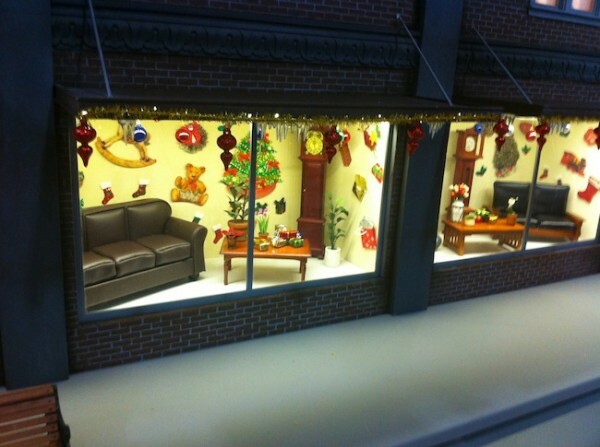 Below, Travis and Fiona divulge details of the dollhouse town and other surprising characters that will pop up in this year’s holiday campaign. 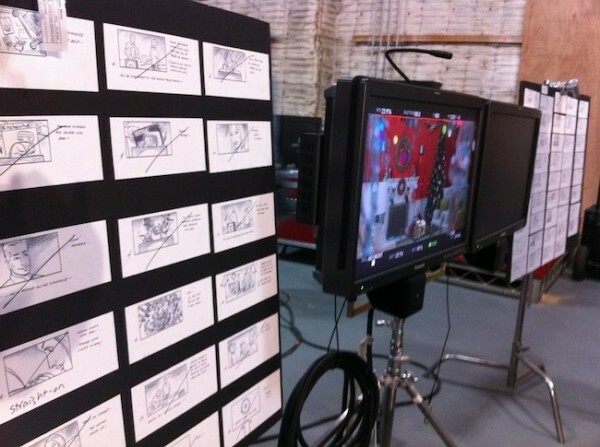 Can you tell us a little bit about the set design and the idea behind Bullseye’s return? Travis Robertson: The purpose of the “Big Dog” ad was to tease what’s coming this holiday season. Of course, Bullseye had to be the one to deliver the exciting news. Fiona Mitchell: It’s such a great idea to employ a beloved representative of Target in a way that makes you curious as to what’s coming and builds anticipation. 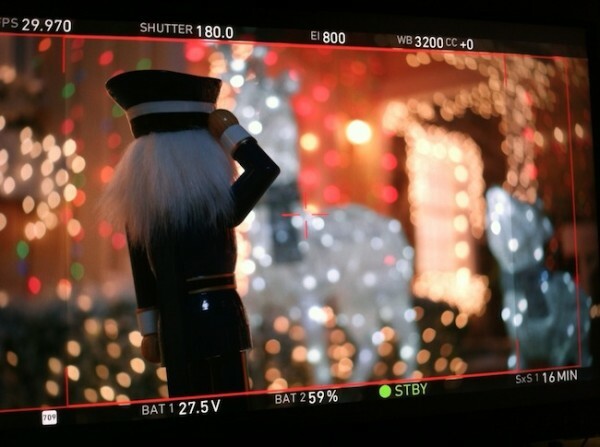 What was the inspiration behind Target’s commercials this holiday season? 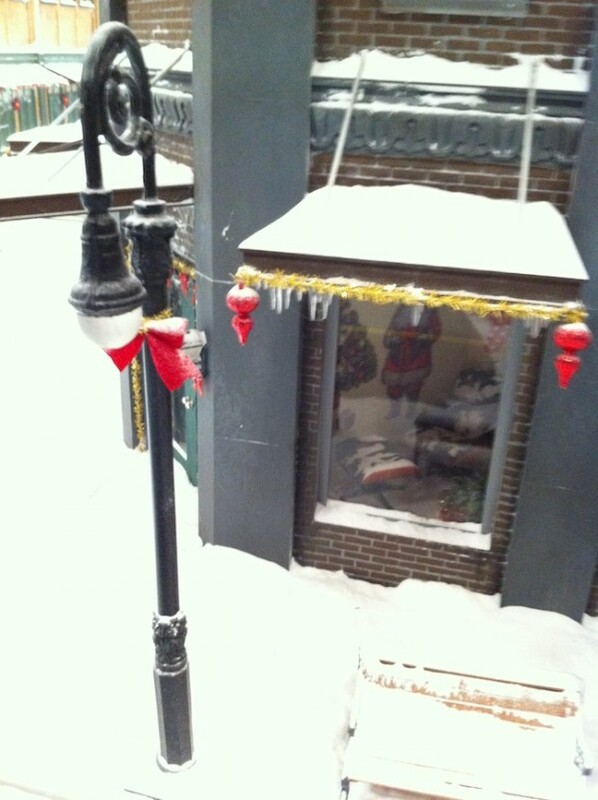 FM: We came up with a theme for all of our holiday TV spots: “All is Bright.” It’s all about fantasy and possibilities. 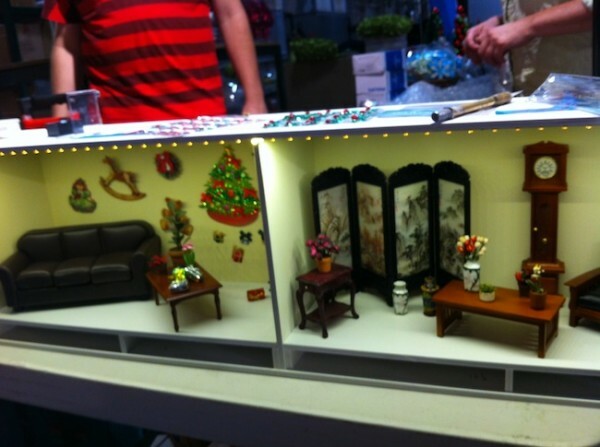 TR: We were also really inspired by the new gift items at Target created by our design teams. 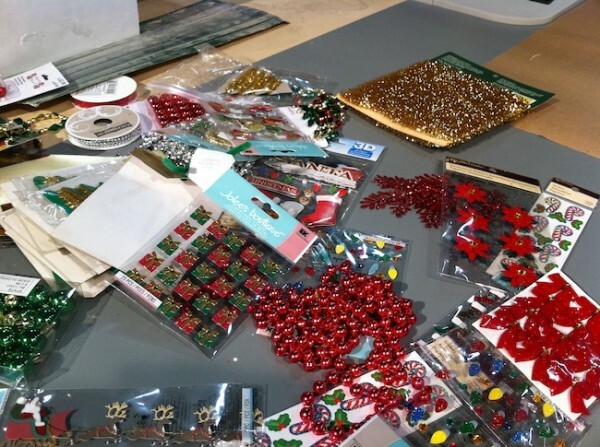 Everything is very colorful, sparkly and joyful—so the product itself was an inspiration. FM: We wanted to do something slightly different this year, so the notion of “Dream Big. Save bigger” was perfect. TR: This is also one of the first years where we’re really stressing the “Expect More. Pay Less” brand promise in every single commercial. 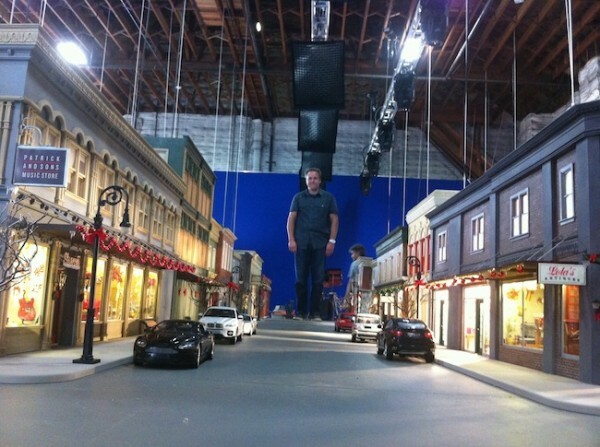 We wanted to turn these commercials not just into a fantastical world, but into a world that everyone can afford. What do you think makes this year’s TV spots so special? TR: There are some characters that pop up that will be a nice surprise, like Bullseye. The idea of surprise is key in all Target advertising, especially this year. Plus, you can actually shop some commercials this year. For example, if you like a sweater or a toy featured in a commercial, you can text a number and get a link to a menu of product in that spot. Was creating interactive commercials an important goal in this year’s marketing? TR: It’s something that everyone has strived for over the years. It was a no-brainer to incorporate shoppable media into TV, catalog, print ads, bus shelters and other mediums. FM: Our goal was to bridge the gap between when you see something in a commercial and when you actually go shopping for it. Now you can quickly gather information and have a shopping list ready for you. It reduces the treasure hunt for our guests. How do you think Target continues to push the limits on creative advertising? TR: We’ve got a great legacy of people who have created groundbreaking ads, and we’re following in those footsteps. It’s a tall task for anyone to create something that no one has ever done before, but that’s what we try and do every day. 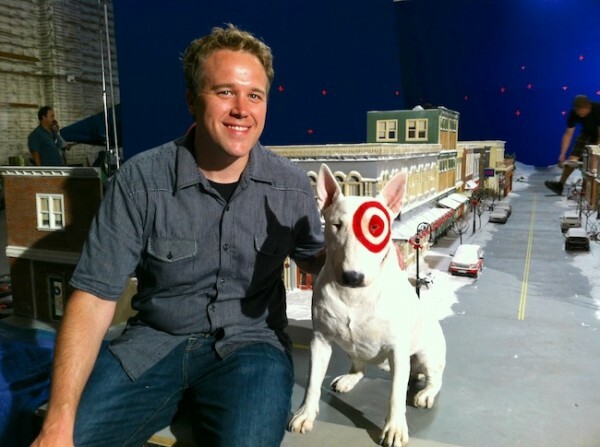 Besides Bullseye, what inspires the characters of Target commercials? TR: We created pop culture icons that could be our spokespeople for the guest’s inner conversation about deals and saving money around Black Friday and the holiday season. FM: To stand out again this year, we looked for ways to add humor and acknowledge that this whole season is fun. It really is a blast to participate in something like this and we want to keep building the excitement and the anticipation. TR: Many of our characters are the giddy cheerleaders inside all of us who can’t wait to get that deal.